Uplighting softly illuminates the owner’s dream home getaway. 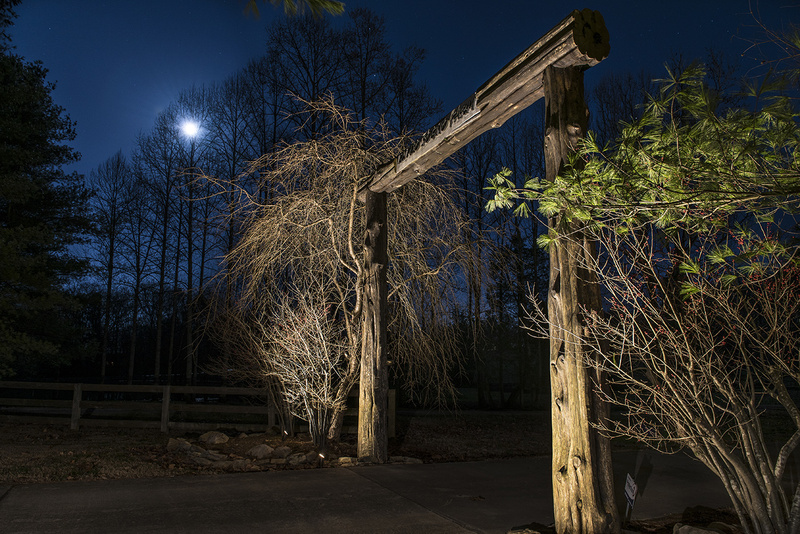 Various lighting techniques were incorporated to illuminate and showcase the entrance to this property. 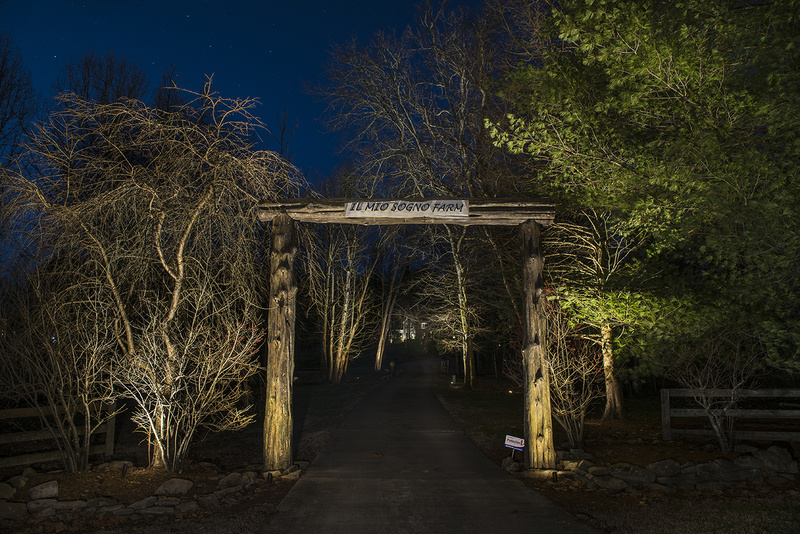 The long tree-lit driveway leads you to a beautiful farm house. For years this owner dreamed of this day and now it has finally come to light.